Queen Extravaganza in Montreal or Quebec City? Inform me about the next events for Queen Extravaganza. Enroll yourself to our priority waiting list for Queen Extravaganza to be alerted when new tickets are available. Filling this form doesn't engage you to any purchase. Queen Extravaganza will be on route to Montreal very soon. They will entertain us at the Bell Centre. 514-Tickets is a broker of all types of tickets. From concerts to comedy shows as well as sports tickets, 514-Tickets will help you find the best seats for the most popular events in the Montreal Area. Our sales team will be happy to answer your inquiries by telephone at 514-Billets (245-5387). 514-Tickets offers you a very pleasant purchasing experience. 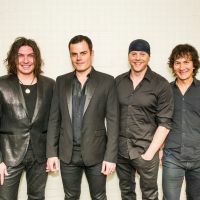 So don’t hesitate to purchase your tickets for Queen Extravaganza at 514-Tickets.com !